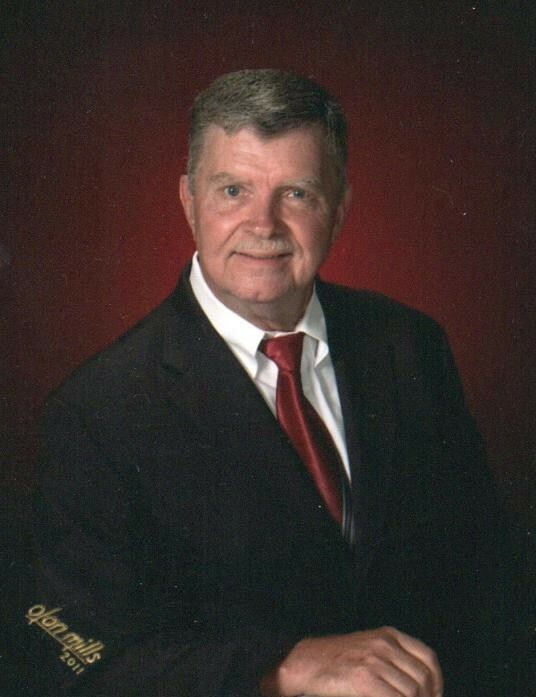 Ronald “Ronnie” Lloyd Thayer, 70 of Troy, passed away Sunday, March 24, 2019 at his residence surrounded by his loving family. A funeral service will be at 2:00 p.m. Tuesday, March, 26, 2019 at Long Hill Baptist Church, officiated by Pastor Mark Forrest. Burial will follow in the church cemetery. Visitation will be one hour prior to the service at the church. Born September 3, 1948 in Montgomery County, he was a son of the late Milton Worth and Grace Moore Thayer. He was a member of Long Hill Baptist Church and worked at the Montgomery Herald in the Printing Department for 15 years. Ronnie was a life-long member of the Secret Agent Band where he played the rhythm guitar. He enjoyed gardening, old and fast cars, especially his 1965 red Comet. He loved shooting, lawn mowers and tractors. He is survived by his wife of 47 years, Sheila Ussery Thayer of the home; one son, Ron Thayer and his wife Lori of Troy; two grandsons, Nathan and Grant Thayer; and his faithful canine companion, Jax. He is preceded in death by his brother, Kenneth Thayer. For those desiring, memorials may be made to Hospice of Stanly & the Uwharrie, 960 N. 1st Street, Albemarle, NC 28001 or Long Hill Baptist Church, 637 Capelsie Road, Troy, NC, 27371.